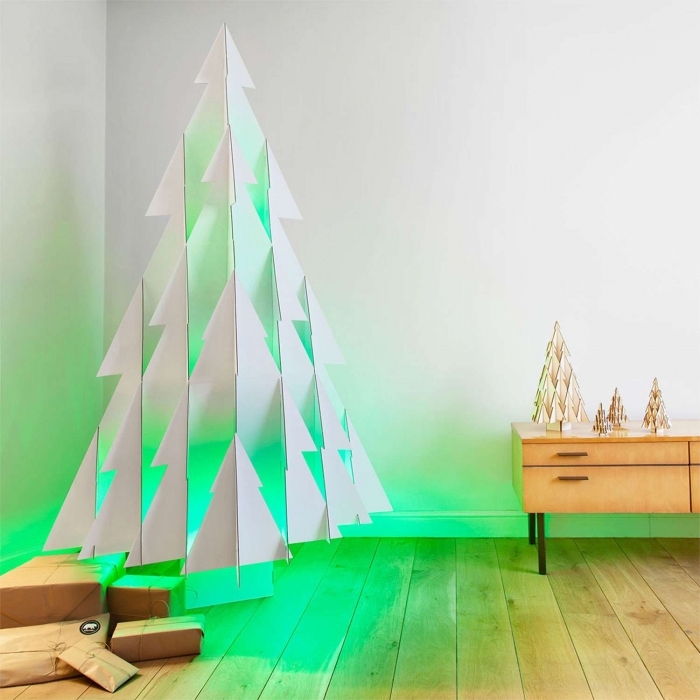 Odenneboom is a uniquely designed Christmas tree. Designed and made in Belgium. The OdenneBoom is available in different sizes and materials. 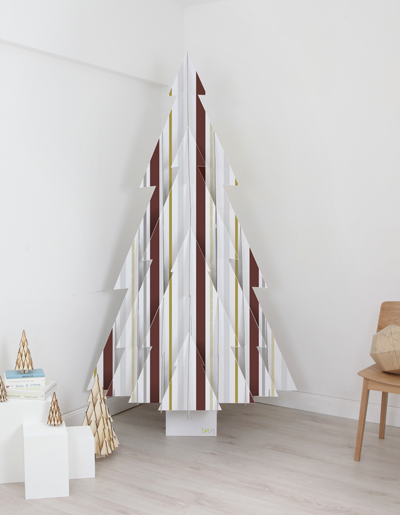 The most popular in the series is the white life-size Christmas tree made of cardboard. 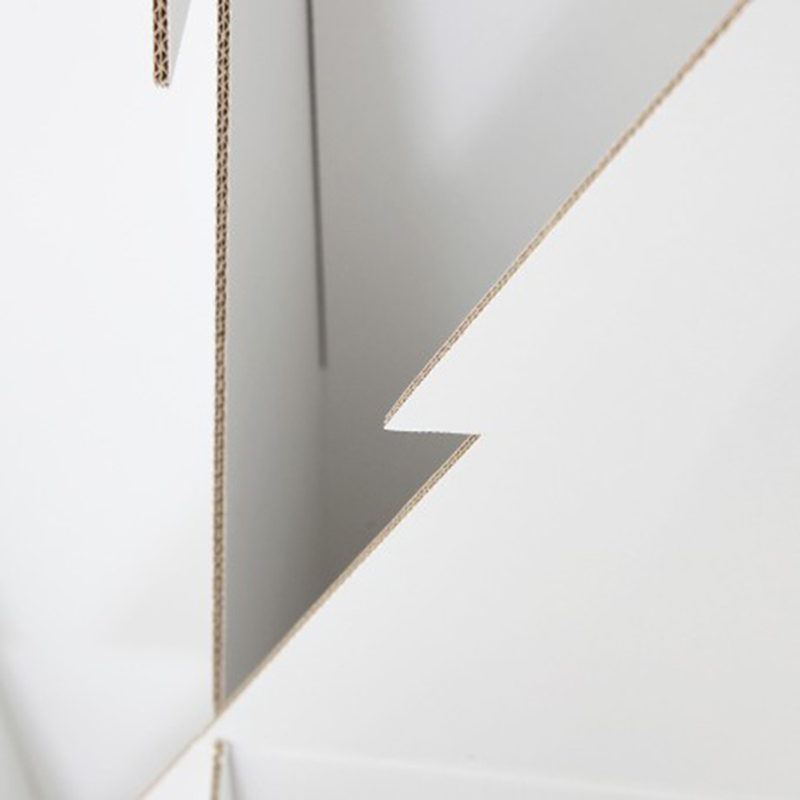 This cardboard is a strong double-layered corrugated cardboard, is 100% recyclable and can be reused for several years. The OdenneBoom is a must have for the coming Christmas! There are also accessories available for this version such as a RGB LED lighting. 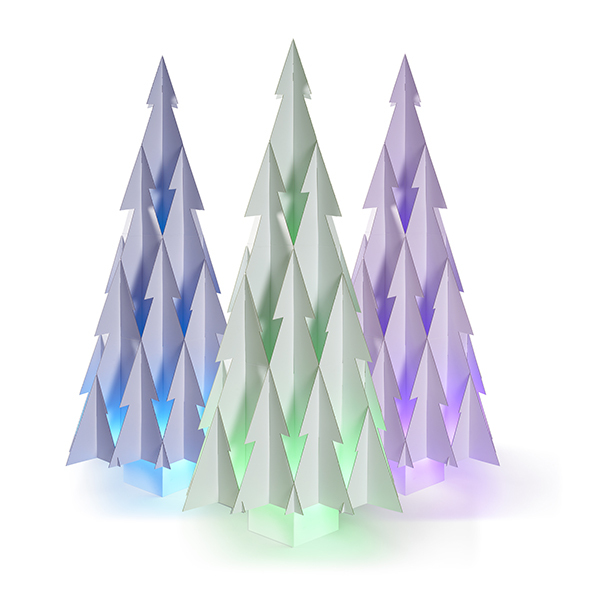 This allows to light up your OdenneBoom with indirect light in different colors you wish. 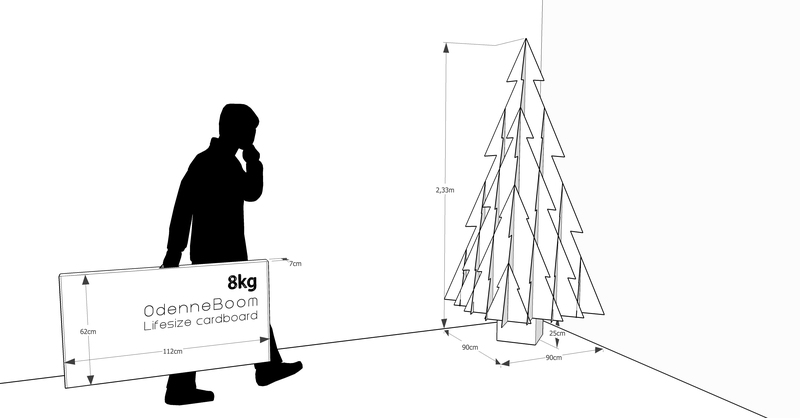 The OdenneBoom is available in materials such as strong dubbel layered white cardboard and polar multiplex wood to enjoy many years. The OdenneBoom is available in 7 different sizes. Going from a 230cm Life-size tree to a Small table set. 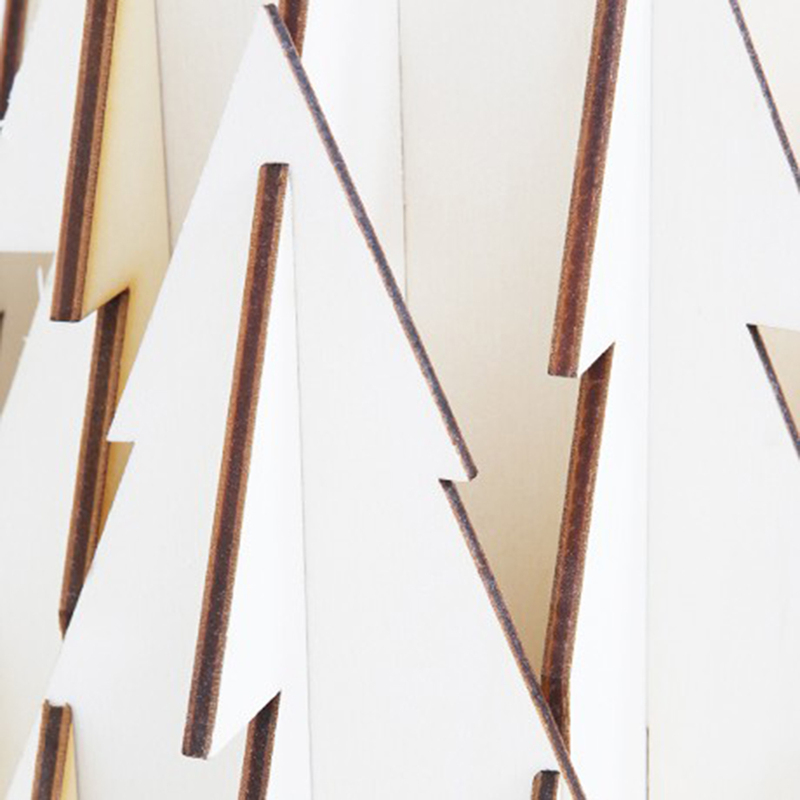 Each tree comes in a compact box made from the same cardboard material. 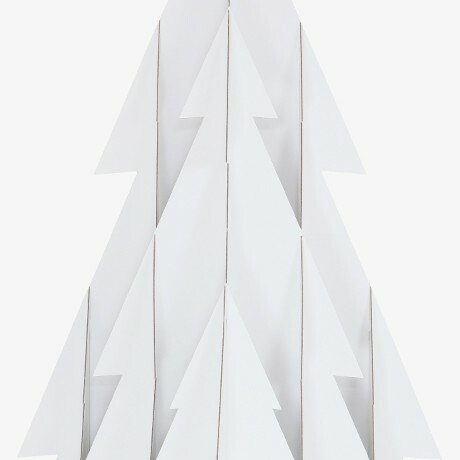 A tree consists of 15 pieces that can be fit together as a fun puzzle. The Odenneboom can be mounted and unmounted several times. 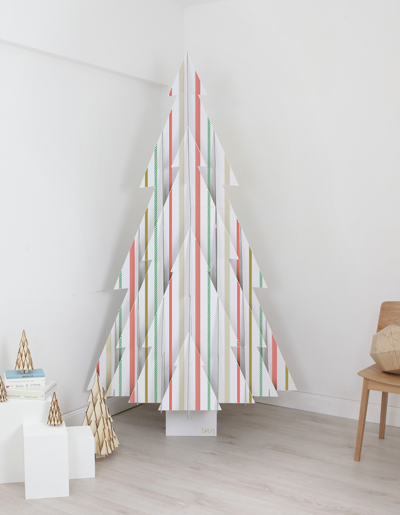 Use maskingtape to decorate your tree with your own design. Or feel free to let your kids help you out. Kids have a remarkable imagination to paint our color in your tree.